Being a freelance blogger can be awesome, but it also has its downside. During an era of outsourcing, it should come as no surprise that a growing number of companies save money by outsourcing the writing of content, from the posts that highlight the company blog to brochures that tout the latest company product innovations. As with any outsourced position, hiring freelance bloggers saves companies money on full-time salaries, benefits, and in-house supplies. Freelancers respond to online or in house recruitment advertisements and companies review the portfolios of eligible candidates to determine which writer or group of writers make the best fit for an upcoming writing project. Freelance writing can be a lucrative career, but it takes hard work and a few lucky breaks to become entrenched in the upper echelon of freelance writer candidates. 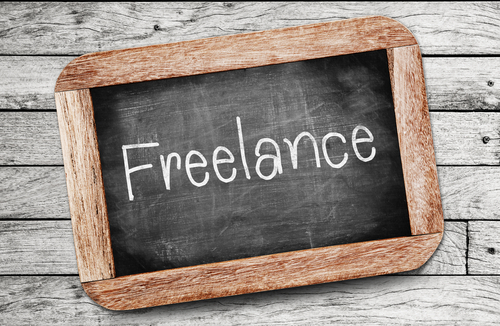 Many freelance writers start by supplementing their full-time writing incomes freelancing outside of their employers. After a few years, business grows into a full-time business that requires a 100 percent commitment from the freelancer. Although working for yourself appears liberating (and it is), there are some things about freelance blogging that escape most writers. It is not until freelance bloggers get into the trenches that they learn the 8 things to know about being a freelance blogger. You don’t have exasperated editors running into your office screaming, “I have an urgent deadline.” You don’t have sweat laden editors hanging over your last typewritten word wondering, “When you plan to finish the piece.” Working as a blogger gives you a sense of freedom from having to deal with office politics and overbearing editors. However, you still must deal with clients, even if the interactions are mostly done via cyberspace. In fact, the lack of face-to-face interaction with clients can cause communication problems. Good clients clearly explain project parameters and then allow you to run with the writing project. Difficult clients change project guidelines on the fly and request almost impossible to adhere to deadlines. You may work from home, but clients lurk over your every word. One thing nice about working for a company is that the company pays for the printer, desktop computer, laptop, printing paper, and other office expenses. You simply sit down and knock out the latest blog posts. Being a freelancer requires you to dig into your pocket for every office related expense that you took for granted at your former corporate employer. You must pay for the printer ink, office furniture, and high-speed Internet access. Don’t fret, since most of the money that you spend blogging from home qualifies for a tax deduction. You can typically deduct office supplies and utility costs associated with running a freelance blogging business from home. Freelance bloggers don’t follow an editor mandated writing schedule. They submit proposals for jobs and once hired, organize projects in accordance to deadlines. Although organizing your own schedule appeals to self-starters that prefer to work for themselves, some freelance bloggers have a difficult time organizing the myriad projects on their ‘To Do” lists. The result can be missed deadlines and hence, unhappy clients that make it known you’re not dependable enough to hire. Time management skills sit near the top of mandatory professional skills required by freelance bloggers. One of the dinosaur phrases you can expect not to hear as a freelance blogger is “Please forward me your resume.” Freelance bloggers rarely work on the same project for more than six months, which means professional resumes don’t matter for securing new clients. What matters is your freelance blogging portfolio. You upload your best work to a third-party freelance writing service such as Elance or oDesk and allow prospective employers sift through your work to determine if you have what it takes to write for them. A growing number of freelance bloggers start websites that include a section for their freelancer portfolios. For some reason, many novice freelance bloggers believe they can simply roll out of bed and start writing in their pajamas. Although starting your blogging day may only require a brief yawn and a nod to the coffee machine, many clients contact their freelance bloggers throughout the day via Skype and other interactive communication platforms to check on the progress of a project or clarify project guidelines. A good rule of thumb for freelance bloggers is dress like you plan to work at the office. Freelance bloggers that work for companies and large organizations never have to worry about rejection. Sure, editors may throw shoddy work back in their faces, but once they latch onto a company, the rejection letters stop flowing in from prospective employers. Freelance bloggers must deal with rejection multiple times per day. For every 10 jobs that you submit a bid, nine come back without even the common courtesy of a response. The 10th response typically thanks you for your time, but rejects your proposal as inadequate or your credentials as inferior to the credentials of other candidates. Freelance bloggers must not only have a thick skin when it comes to feedback, they must also grow immune to job proposal rejections. You’re humming along as a freelance blogger, handling more work that you know what to do with in your pursuit of living the dream of an independent contractor. While the good times constantly remind you that you made the right choice working on your own as a freelance blogger, never forget that you can expect to experience several lean times during your blogging career. At best, freelance blogging is an erratic career with severe up and down workloads. You may furiously work to complete projects during one 60-hour work week, only to stare at a blank computer screen throughout most of the next work week. Working for a company ensures that you have a steady workflow and even if the workflow dries up, you still get paid. Get used to this now: Most people have no idea what freelance blogging means. When you tell people that you freelance for a living, most of the responses go like “That’s a great way to supplement your income, but really, what do you do for a living?” Very few people view writing as a credible career. Very few people know how to write and even fewer people understand that because of the online marketing explosion, freelance bloggers have never been more in demand. The next time you might have to fudge a bit when it come to describing your career. Instead of saying you’re a freelance blogger and risk the ridicule of other professionals, simply explain that you run your own business. This brings us to the last thing to know about being a freelance blogger. You are more than someone who provides creative content for clients. You’re someone who also must know how to run a business.